Oh yay, something else from that dark time for Disney characters I mentioned in the review of Mickey's Once Upon a Christmas. I had always been sort of curious about House of Mouse, the show that this special is spinning out of, because it plays with the idea that all the Disney characters live and work together. (For other spins on this, see Who Framed Roger Rabbit and Bonkers.) However, after seeing it I feel as though I dodged a bullet by avoiding this until now. The set-up is simple: House of Mouse is always a clip-show, consisting of short cartoons bridged by a flimsy frame story set in the nightclub that Mickey and company run. This special is structured the same way. The first half-hour has three shorts, one from 1952 and two from 1999. It's astonishing that anyone was stupid enough to put these disparate pieces of animation together, because the difference in quality was so pronounced. The minute the 1952 piece started (it's one we've touched on before, "Pluto's Christmas Tree"), it was like a sigh of relief because the pain briefly stopped. About the two pieces from 1999, I'd like to say very little, but I'll tell you some so you can avoid them if you have the opportunity. "Donald on Ice" was terrible. It wasn't funny. The tone of the humor was odd, more Chuck Jones than Walt Disney, except - as I said - not funny at all. The plot is something about Donald knocking over some snowmen and then getting chased by cracking ice and then getting chased by a living snowman, and it's just tedious. "The Nutcracker" was loosely inspired by The Nutcracker Suite, with Minnie as Marie and Mickey as the Nutcracker. 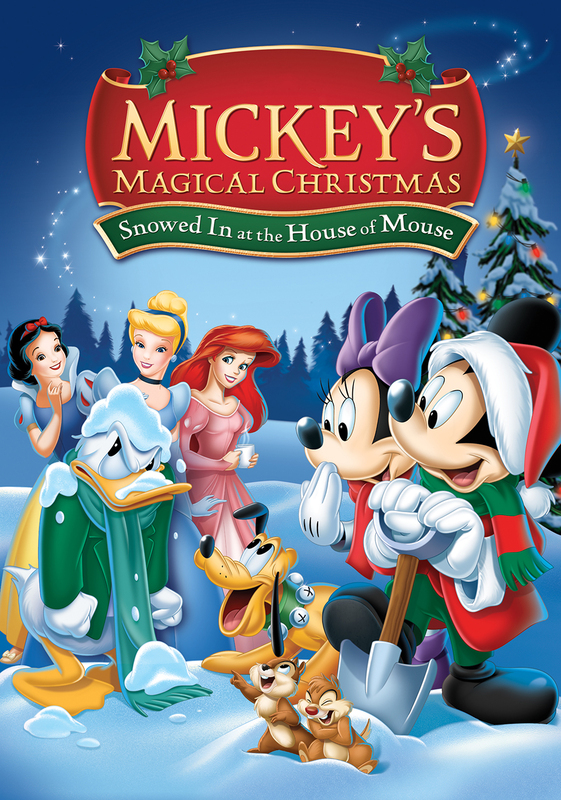 This made Donald the Mouse King, for reasons that even narrator John Cleese couldn't really convince me of, and Goofy showed up as some kind of snow fairy. There was a lot of running about and exaggerated slapstick. And Ludwig Von Drake was in this, as well as in the frame pieces. He had maybe one of the only almost funny jokes in this, but overall it's a waste of a fun character. Meanwhile, in between these pieces has been a not-story about Mickey and the others trying to get Donald to admit to some Christmas spirit, for some reason. It's not as though it's really affecting them. It feels like bullying, or some sort of 'we all must be happy' doublethink. Other random Disney characters have one-line jokes that aren't funny. The pacing on all this is atrocious: it has no time to breathe or even think before there's another forced 'joke'. The funniest thing was that the animators (obviously tapped for this duty for their skill with Mickey, Donald, et. al.) are terrible at humans, and all the princesses and other human characters look like barely animate paper dolls and their dialogue is so bad that it sounds like they're stoned out of their minds. And then the plot is over, Donald has a change of heart for no reason and is merry! And there's still half an hour left. So there's one more piece. And the animation, despite being from 1983, suddenly improved by a staggering amount. The comparison was ridiculous. The pace smoothed out beautifully. The music and voice acting was glorious. Erin and I started to smile. We watched all the way through Mickey's Christmas Carol again gladly. I cried a little when Netflix made us go back to the ugly House of Mouse for a closing song, but I am grateful that they wrote something new (and boring) and didn't sully music from Christmas Carol or something else by reusing it. Don't watch this. Well, unless you've never seen Mickey's Christmas Carol. You'll lose the scene-setting introductory music to watch it this way, but you can catch that on YouTube. Then start this on Netflix, immediately jump to 34 minutes in, and be ready at the end to either click out or laugh at the terrible House of Mouse animation.